Do you ever just find yourself down in the dumps? I’m pretty sure we all do and some point in our lives – most of us numerous times. It might even be for a completely unknown reason. It is not uncommon for people to just find themselves feeling down as a result of some underlying depression or anxiety. Some people look to prescription medication, alcohol or various other methods of pulling themselves out of this emotional slump. Studies have shown that exercise might indeed be an important mental health care treatment that is often neglected. Exercise not only improves your mental and emotional health but also your physical health. Physical activity can even be easily worked into a busy lifestyle as well using an at home gym with equipment from Garage Gym Builder. Exercises such as swimming, dancing, gardening, jogging, walking, and cycling have been proven to reduce depression and anxiety and improve your overall mood. As you exercise, your blood circulation to the brain is increased and it positively influences the regions of your brain that deal with stress. Physical activity also increases the concentrations of norepinephrine in your brain – a chemical that can moderate your brain’s response to stress. It boosts your overall mood. Good news! Physical activity is about as close to your very own happy pill as you can get. Exercise causes your body to release hormones called endorphins. These endorphins are what create a sense of happiness and euphoria. Endorphins aid in the relief of depression and anxiety and therefore, the boosting of your overall mood. A quick jog will not only leave you looking like a million bucks but more importantly, you will start feeling like a million bucks. 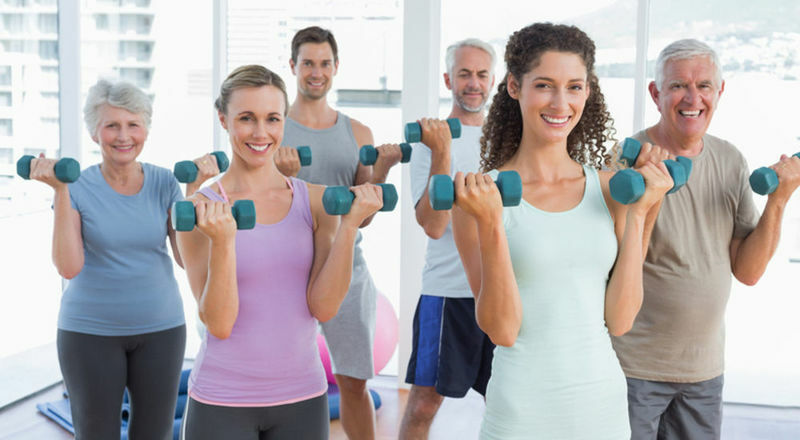 Just even a little exercise a few times a week can boost your self-esteem and give you a more positive self-image as you feel and see your physical progress. This boost in self-confidence also leads to a happier you. As we age, degenerative diseases such as Alzheimer’s begin to kill off brain cells, literally shrinking your brain and causing you to lose important brain processes and functions. While exercise is not a “cure” for cognitive decline – which can still present itself later in life – physical activity will boost the chemicals in the brain that prevent this degeneration. Specifically, the hippocampus – an important part of the brain used for learning and memory – will be supported by exercise. Overall, exercise offers several benefits. From mental health to physical health, exercise is a great way to improve your overall well-being. It can be something as simple as going for a walk a few times a week, or something more intense like lifting weights at the gym every day. Whatever your workout of choice is, try to make an effort to incorporate it into your weekly routine – especially on those days where you are feeling extra down. Annabelle Short is a writer/blogger and seamstress of more than 5 years. She splits her time between London and Los Angeles and writes for Wunderlabel. Annabelle is a mother of two, and in her free time she likes to sew and make crafts with her kids.